AirSpace Gallery is excited to unveil a series of new landscape paintings by Harry Adams. Hear from the artist duo at the opening preview event, Harry Adams in Conversation, 28th April 2018. Created in direct response to Stoke-on-Trent, the works bring together painterly and sculptural surfaces to reflect upon current cultural climates and the city’s own fluctuating persona. It’s an exhibition of paintings vs trees (and strategies in art avoidance) that seeks to degrade, debunk, re-mystify and re-purpose the useless arts in a post-art culture. Stripped of their figurative content, each painting is accompanied by errant tree forms, escaping from their two-dimensional plane and inhabiting the Gallery, planted in bespoke ceramic vessels – made by the artists, by hand, here in the city. Experience these new works firsthand and hear from the artists themselves at the Gallery’s special opening preview event. 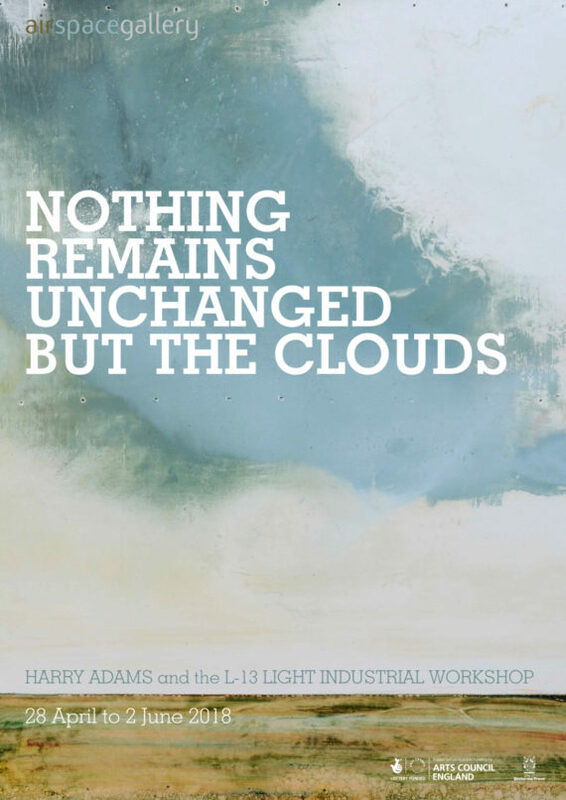 Nothing Remains Unchanged But The Clouds launches with Harry Adams in Conversation on Saturday 28th April, 2pm-5pm. Free and open to all. Since 2010, the Arts Council England budget has been cut by 30%, and with no end in sight to Austerity in the Arts, it has never been more important to consider alternative ways of funding cultural activity – either for the organisation or the individual. For this Artist Soup Kitchen, we have invited Steven Lowe – founder of L-13 – to present their model of self-funding based on making and merchandising* as the basis of a discussion which seeks to develop new strategies on how to successfully fund a practice in the face of a never ending austerity.